Our journey began like so many others’. I stopped taking the pill after my husband and I married in 2011. 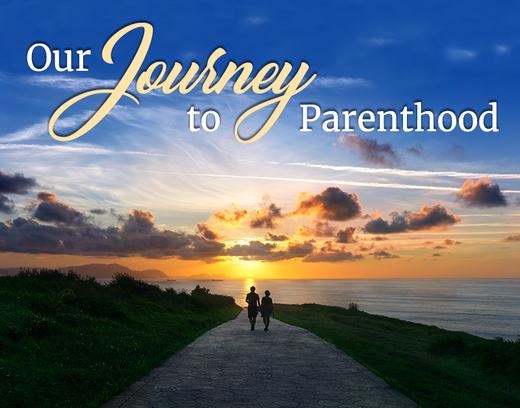 After trying to get pregnant for a couple years on our own, my ob-gyn suggested I see a fertility specialist since I was approaching 40 and my husband 42. At first we thought the main issue was with my husband’s sperm, so he went through with having a procedure done himself. After six unsuccessful IUI attempts with the specialist, she referred us to Dr. Griffin at Buffalo IVF. Again, my age concerned her and she didn't want to waste time continuing with something that didn't appear to be working for us. On our first IVF try we had an embryo to transfer; even though it stuck, it didn't take and develop any further. We tried IVF treatment for several more months, but I just wasn't producing enough eggs to proceed with the IVF process (I needed to have more than 4 to extract them). After some more tests, my doctor found cysts on my ovaries that were not going away, but continuously growing. We had to have surgery to remove them in hopes it would help me produce more than 2 or 3 eggs for treatment. During the surgery it was discovered that not only did I have cysts, I also had endometriosis and endometrial polyps, which also needed to be removed. Then after the surgery, they found that my right ovary was less than half the size of the left and was not producing as many eggs as we thought we were getting. Despite it all, we had high hopes that with all this removed and with a better understanding of my diagnosis we could continue with IVF. We did two more rounds of IVF and each time I only produced 1 egg. It was then we realized that my eggs were the issue – they were not strong enough nor was my body able to produce the quality eggs we needed. Was I scared, sad and nervous? Of course I was – that’s natural! I spent years and years having hormones pumped into me and spent so many days crying over my lost hope and failures. But I knew if we made it this far, we could overcome this next hurdle. My husband’s biggest fear was that I wouldn't connect with the baby or that I would always think about the fact that we weren’t using my eggs to create the baby. But after doing some research and reading countless testimonies, I began to look at donor programs to see what was best for us. When it comes to choosing a donor, do you use someone you know or go anonymous? We felt the best thing for us was to choose an anonymous donor even though we had a lot of offers from friends. We took our time looking through the "bank" of donors with Donor Egg Bank and found the one that we felt best matched us. We acquired five frozen eggs from this donor, and of those, four survived the thawing process and three turned into embryos. We were given the choice of how many we wanted to transfer, so we chose to transfer all three. Again this was a personal decision we made. Out of the three embryos that we put back, two stuck and one continued to develop. We were overjoyed! For any woman who is concerned about connecting with your baby after using a donor egg, I want to let you know the process of being able to carry my son and feel him move was the most amazing experience. Even though we used a donor egg, my blood and my body helped him to grow. I truly connected with him and I know I am his mother. Karen G. and her husband struggled with infertility for 5 years before using donor egg. They were finally blessed with their son in 2016.